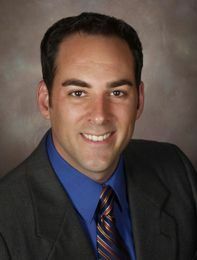 A licensed Realtor in Oregon, Kevin J. Brown is a member of the Eugene, Oregon and National Association of Realtors. Being a Real Estate Professional, Kevin's goals are to take care of his clients needs to the fullest extent. He will utilize all resources available to him to fulfill your real estate dreams including state of the art technology through Windermere Real Estate. Each year he attends courses in marketing, finance, appraisal and other related topics to stay on top of the ever changing developments in real estate. His up to date knowledge and skill in negotiating make the critical difference in bringing a transaction to a successful conclusion. Helping people make quality decisions comes naturally to Kevin. Your concerns will be addressed professionally and with sensitivity to your needs. He approaches real estate as a phenomenal opportunity to help buyers, sellers and investors handle all the details of what can be a major financial and emotional experience. A desire to exceed expectations makes Kevin's role more than just a job; it is a professional commitment to you. A long time resident of Eugene, Kevin is very familiar with the real estate activity and opportunities in the current market. Just let him know what you are looking for. He'll selectively focus on your priorities for style, size and of course price range. Excitement and a tenacious attitude characterize Kevin's style. Put him to the test and then watch the results of having a full-time broker working for you. When making your decision, rest assured that knowledge, honesty and integrity are three professional qualities you can expect from Kevin during your real estate endeavor. Kevin has a strong referral system in place and believes that there is never an end to great service.